Design by Rose Ott Design | Like this look? Get inspired by her room. It’s the finishing pieces that make your home a home. Everything from flowers to accent pillows and throw blankets can make your home feel less like furniture sitting in a room and more like a space you actually enjoy. One often overlooked aspect of designing and decorating is lighting. 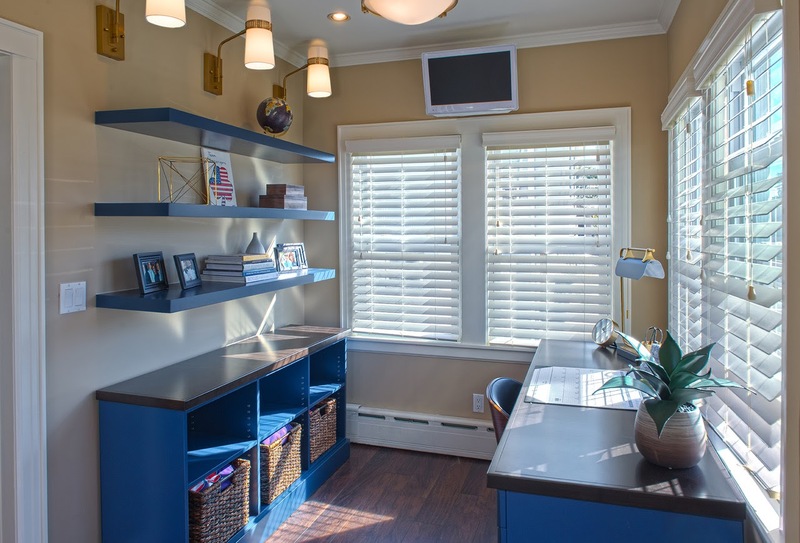 If your home doesn’t come with built-in overhead lighting, finding the right lighting pieces that aren’t too big or too small can be a obstacle to overcome. Originally used to hold torches and candles, sconces are upright light fixtures affixed to the wall, generally as a pair, but are also used down long hallways and passageways to light the way. Not only will sconces free up floor or table space for you, they provide an extra piece of interesting wall décor when placed correctly in the space. Rose Ott shared insight exclusively with Casaza about how to best use sconces in your space. How much light should sconces provide? Sconces can add drama and ambiance and that’s where you can get a way with low light. In a bathroom, sconces placed at either side of the mirror will provide the best light for doing makeup. They are also used to move your eye around a room. If there is something you want to highlight, a sconce will draw your eye there. Sconces have become either more minimal or very dramatic where they are viewed like art pieces. How do you determine the best light fixtures for a client’s space? The best fixture for a client’s space is determined by function, style and scale. We want to start with general or ambient light to light the area and then add accent and task lighting. We mix styles to create interest. For example, you could add a modern fixture in a rustic or traditional space. How have sconces evolved for the modern home? How high should a sconce be installed? 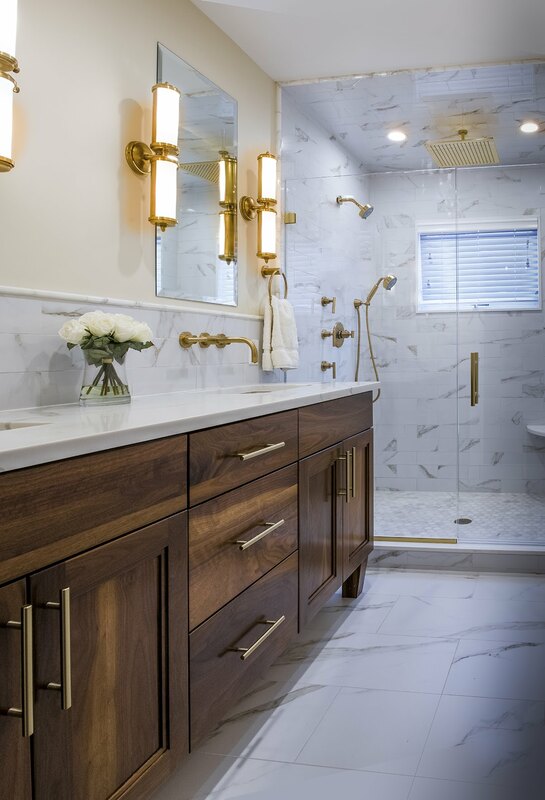 Sconces are usually installed at 5’5″ from the finished floor with a typical ceiling height of 8′ but depending on intent of the design, this can change. What are the best light bulbs to use? Lighting is at a very exciting time right now because of the innovation and advances in technology. I like to bring a few bulbs over to put in the fixture to see what light ups the space and its accent the best. The color and temperature variations of LED bulbs will affect the visual environment and it’s a very important piece for how you light up the room. What are different ways you can use sconces? If you’re not living in a medieval castle with long passageways, placing them in pairs around your space will provide the most eye-catching accent in your space. Here are a few ways to incorporate them into your home. Above nightstands: Affix them on the wall above your nightstands on each side of your bed for an easy reading light option. Around artwork: Large piece of artwork in your space but it’s still missing a little something? Light up the room, and make your painting pop with a sconce on either side. Similarly, use them to flank your mirror to make your space look even bigger and brighter. Framing a door: Sconces aren’t just for your interior, you can use them outside too! Place one on either side of your front door to bring the drama before you even go inside.